Advances in technology have allowed the 2016 Presidential candidates to disseminate their messages in new and novel ways. 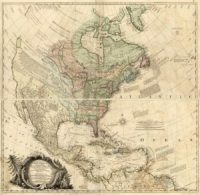 However, the usage of unusual methods for enabling the spread of campaign ideas is nothing new. 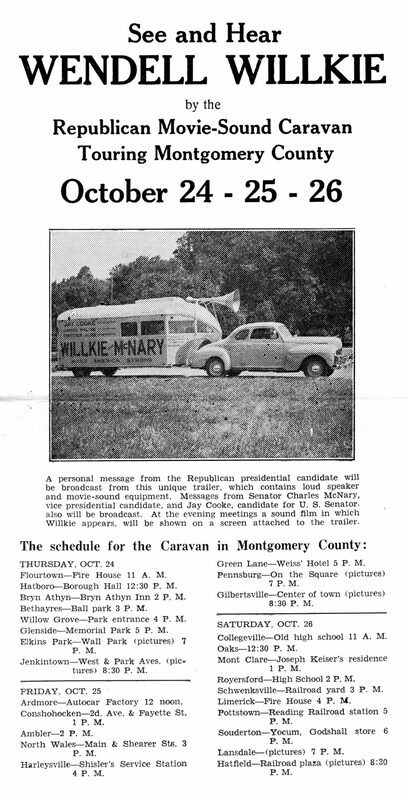 As evidenced by this handbill from the Historians’ collection, the Caravan’s arrival in Montgomery County came late in the campaign cycle, with only about ten days left until election day. Its three day tour of the county offered a varied range of locations, though it appears the motion picture setup was only offered at the evening sites. Whether the Caravan directly garnered the duo any votes is not known, but of course we do know that Willkie lost Pennsylvania as Franklin D. Roosevelt was elected to his third term as President.